Populations without valid passports (refugees, stateless, undocumented) are traditionally considered among the most powerless and precarious of actors, particularly regarding their potential to influence state behavior. Yet precarious populations are active in efforts to reform the countries from which they come, engaging in a variety of contentious politics to push for democratic reforms or regime change in their homelands, serving as the “canary” that broadcasts the abuses of the home country. Relying on empirical evidence from two precarious populations – refugees from Bhutan in Nepal and refugees from Myanmar in Thailand – this paper examines the phenomenon of precarious homeland activism, paying particular attention to the shape it takes and the factors that explain its existence. Susan Banki’s research interests lie in the political, institutional, and legal contexts that explain the roots of and solutions to international human rights violations. In particular, she is interested in the ways that questions of sovereignty, citizenship/membership and humanitarian principles have shaped our understanding of and reactions to various transnational phenomena, such as the international human rights regime, international migration and the provision of international aid. 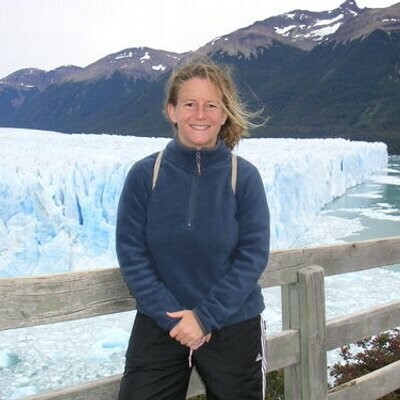 Susan’s focus is in the Asia-Pacific region, where she has conducted extensive field research in Thailand, Nepal, Bangladesh and Japan on refugee/migrant protection, statelessness and border control. She is currently investigating the local, regional and international mechanisms (and the interactions between them) that serve as potential levers for change. This talk will draw on my research on the Palestine solidarity movement in the Bay Area and, in particular, political activism among Palestinian, Arab and Muslim American youth in Silicon Valley. A central element of Palestinian rights advocacy is the right of return of Palestinian refugees, symbolized by the “key” to abandoned or occupied homes for those displaced from or in Palestine. The talk will also address the ways in which this right is invoked by the growing BDS (Boycott, Divestment, and Sanctions) movement as part of a larger vision of decolonization and racial justice that connects Palestinian communities in the diaspora with those occupied in Palestine. Sunaina Maira is Professor of Asian American Studies and Co-Director of the Mellon Research Initiative in Comparative Border Studies at UC Davis. 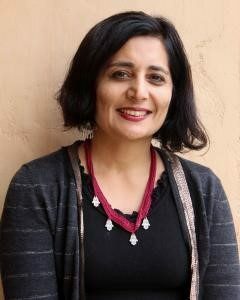 She is the author of several books including Missing: Youth, Citizenship, and Empire After 9/11and recently, The 9/11 Generation: Youth, Rights, and Solidarity in the War on Terror, which is a study of South Asian, Arab, and Afghan American youth and political movements in the South Bay. Maira co-edited Contours of the Heart: South Asians Map North America, which won the American Book Award, and The Imperial University: Academic Repression and Scholarly Dissent. Her new book (from UC Press) is Boycott! The Academy and Justice for Palestine. Border crossings can be as fluid as a holiday sea cruise or as perilous as a patera journey in the night. Border crossings can occur while sipping a cocktail with the seatback reclined or sitting upright while handcuffed in a seat. This presentation asserts that the quality of the experience – whether welcoming or unwelcoming – is determined through mechanisms of policy and perceptions of belonging and, in either case, such crossings are infused with negotiations of racism and related contingencies. The talk focuses on African migration and Black presence in spaces of contemporary Europe – particularly considering Ireland and Spain – and addresses the role of racism in determining and experiencing migration policy amidst a perceived adherence to human rights protocols. Elisa Joy White is an Associate Professor of African American and African Studies at University of California at Davis. She holds a PhD in African Diaspora Studies from the University of California at Berkeley. Her interdisciplinary research primarily considers the African Diaspora in Europe, particularly focusing on the impact of migration status, constructions of national identity, racism, and related human rights issues. 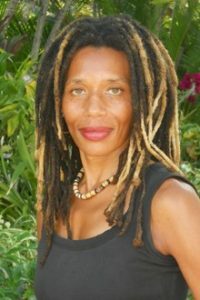 Reflecting a scholarly commitment to diverse African diaspora communities, her publications include the book, Modernity, Freedom and the African Diaspora: Dublin, New Orleans, Paris (Indiana University Press), and two chapters in the second edition of They Followed the Trade Winds: African Americans in Hawai’i (University of Hawai’i Press). She is co-editor of the forthcoming volume, Relating Worlds of Racism: Dehumanisation, Belonging, and the Normativity of European Whiteness (Palgrave MacMillan, 2018). Dr. White recently completed a term as Vice President of the Association for the Study of the Worldwide African Diaspora (ASWAD) and currently serves on the ASWAD Executive Board. She is also on the steering committee of the Afro-Europeans Research Network. 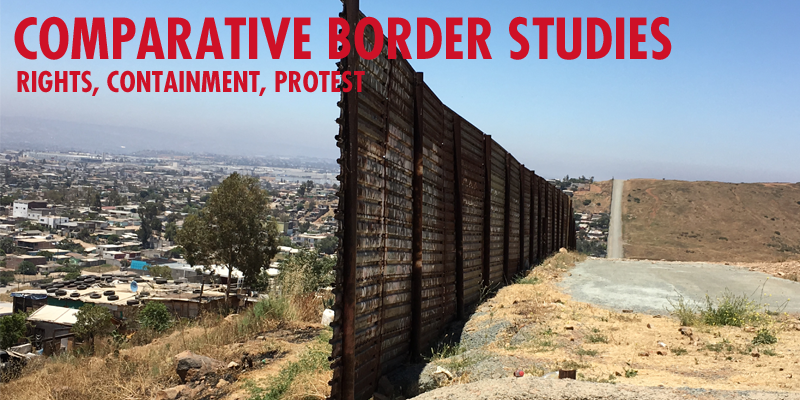 Considering my interviews with people living along the Mexico-US boundary, I argue that the quotidian experiences of people who cross the border on a regular basis allow us a unique view the workings of an increasingly militarized and privatized Border Industrial Complex. Specifically, the narratives of border subjects bring into focus a border-policing agency that refuses to make transparent its operations while simultaneously demanding crossers reveal their bodies and identities, movements and motivations. These interviews also make visible a range of creative and adaptive responses by border crossers who often craft performances that allow them to cross while simultaneously unsettling the notion that this process is capable of making crossers knowable to agents. Cristina Jo Pérez is a Mellon Visiting Assistant Professor in Comparative Border Studies at the University of California, Davis. Cristina’s current book project, Bodies on the Line: Violence in the Time of the Border Industrial Complex explores the constructions of identity, space, and time within an increasingly privatized and militarized border industrial complex. Specifically, the project interrogates how state and popular discourses of racialized, gendered, and sexual deviance, those that circumscribe the lives of Mexican migrants, operate to normalize various forms of border violence. Paying attention to the spatial and temporal dimensions of detention, DACA, and border policing, she argues for a queer of color reading that refuses to assign value to migrant lives through the normativizing discourses of respectability, citizenship, and capital. 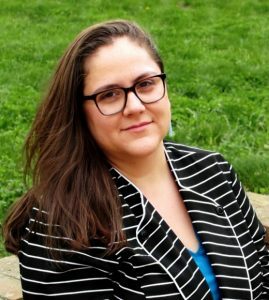 Cristina holds a PhD in Women’s Studies from the University of Maryland, College Park and was a 2015-2016 MIT Diversity Predoctoral Fellow.